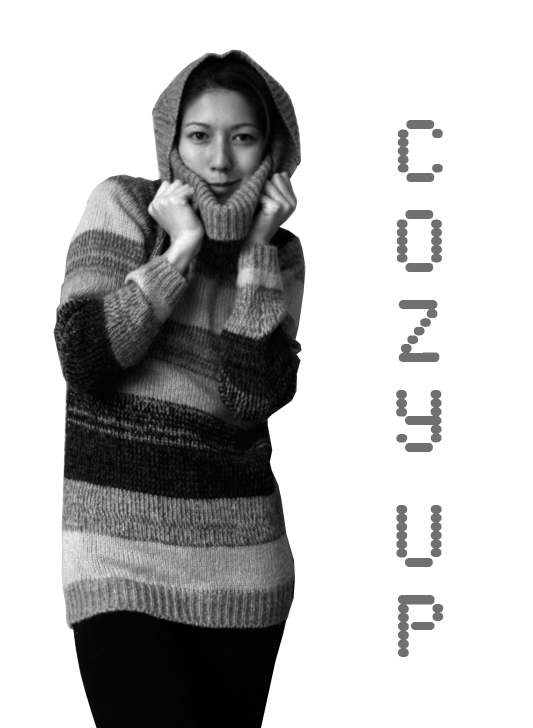 Queen of Mayhem: cozy up! In a fashion sense, winter is always a dilemma for me. I tend to dress very practically-- ok, so that's an overstatement. I guess I should say that I dress for comfort. One of the things I hate the most is the cold! I can't stand it. I'm also paranoid about slipping on the ice (which there is so much of in Pittsburgh). Naturally, my winter wardrobe has a lot of oversized sweater things. This formless sweater is possibly one of my favourites. It's just SO cozy. I wish clothes were cheaper. Wait, I wish I had a (fun) job. LOve the colours of your sweter!! Come work where I work! Though being that I work at an Urban Outfitters, much of my paycheck can make it's way back to the company if I'm not careful.